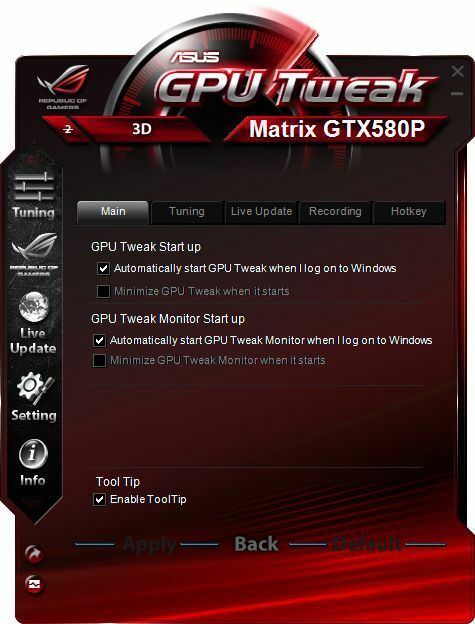 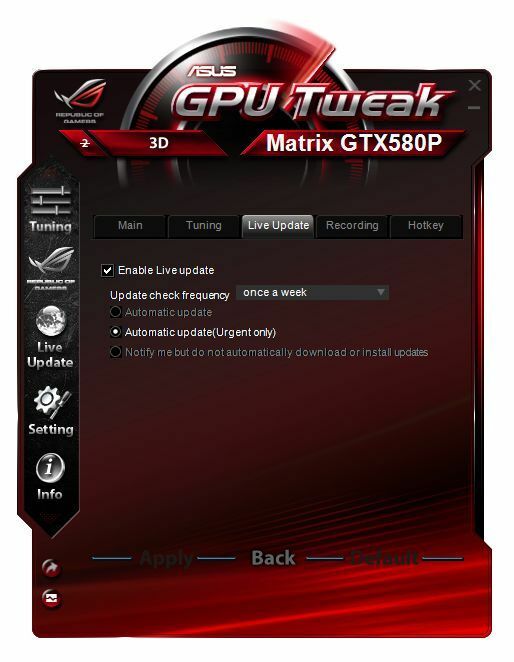 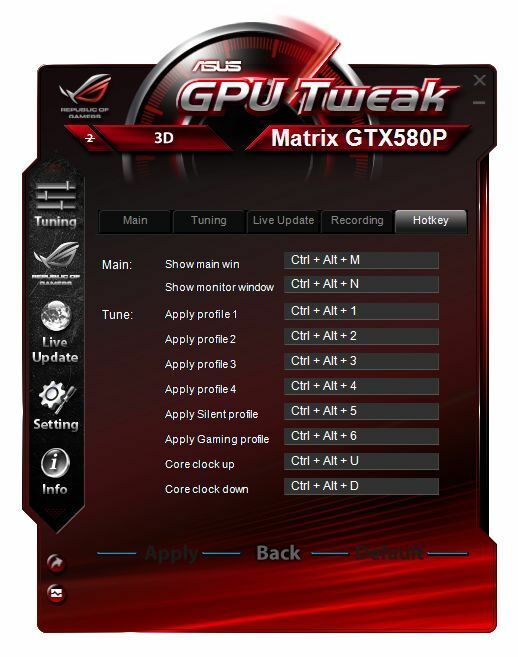 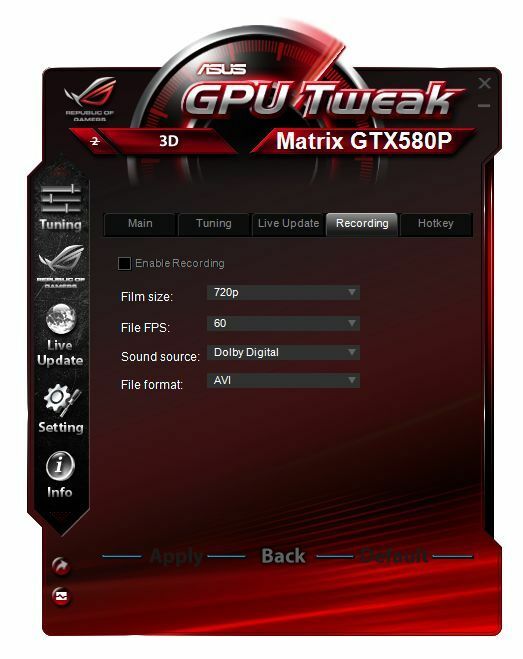 GPU Tweak is really complete when it comes to GPU information and tweaking. 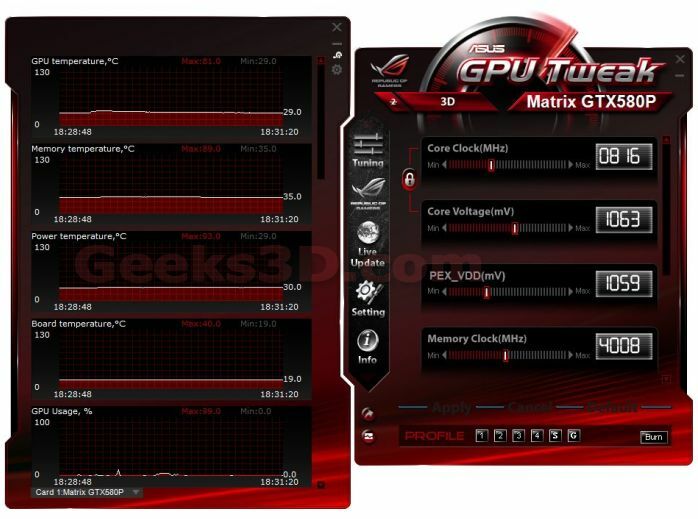 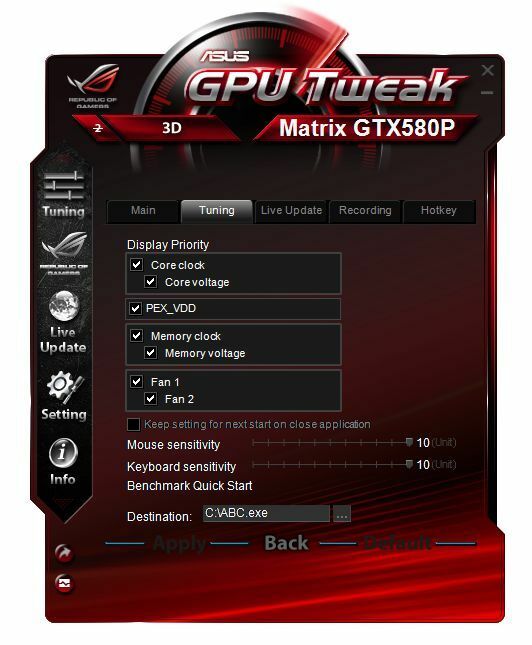 All temperatures (GPU, memory, power MOSFETs –VRM, board), clock speeds (GPU, memory), voltages (GPU, memory, PLL) and fan speeds (speeds of both fans) are displayed. 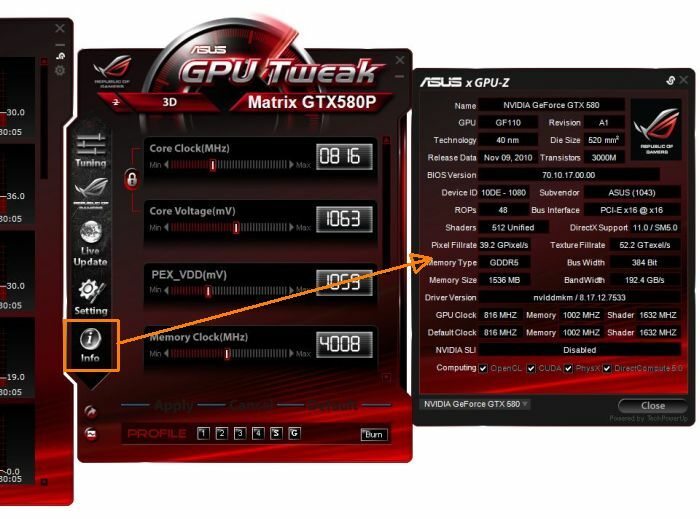 And you can modify every clock or voltage. 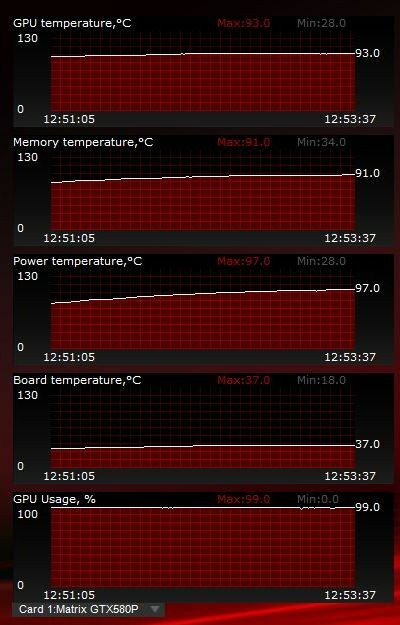 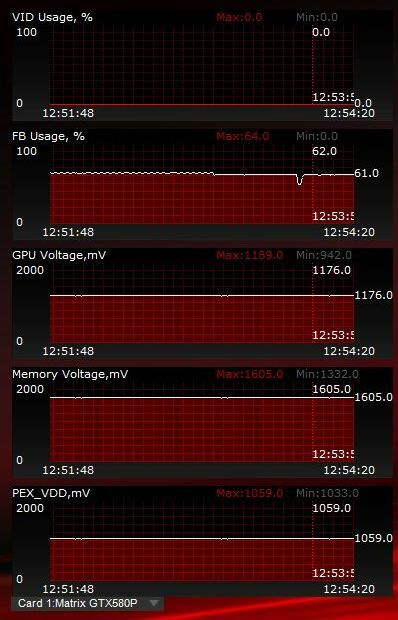 The graph window is not as convenient as MSI Afterburner one because you can’t resize it (because of the… skining!). 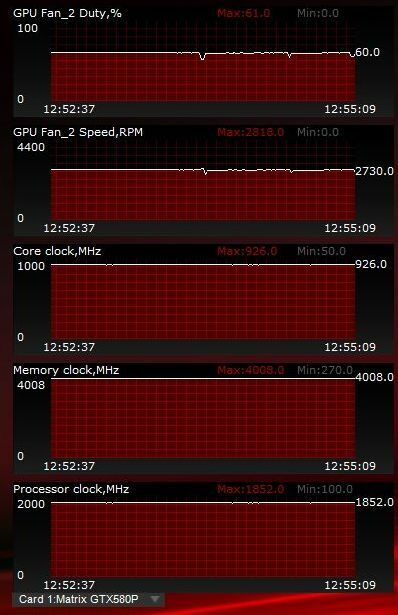 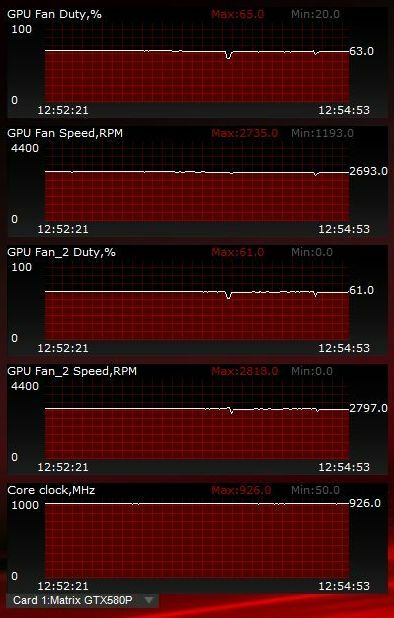 And I need to resize it to keep an eye on the GPU temperature from the begining of the stress test until the end when the GPU temp reaches again its idle value. 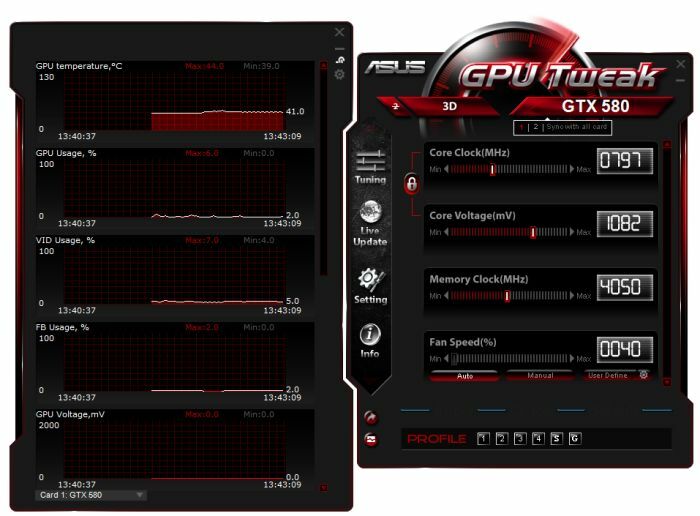 Once ASUS will have improved the interface promptness and the graph window resizing (as well as some sensors values that are not properly updated), GPU Tweak could become the utltimate GPU OC tool!